One of the activities the Blueprint teacher leaders are planning for the Civil War unit is to assign each student a character to research and follow throughout the unit. This is the kind of curriculum development that is tremendously time-consuming and really beyond the ability of a single teacher, no matter how inspired. Because we think the benefits to students are worth the time investment, we are doing the research to compose a secondary biography of each person and find primary source quotations for the students to analyze. The people we have chosen are: Louisa May Alcott (who was a nurse during the war), Robert E. Lee, Jefferson Davis, Ella Gertrude Clanton Thomas, Harriet Jacobs, Robert Smalls, Ulysses S. Grant, Frederick Douglass, Susie King Taylor, and two composite characters, a Union soldier and a Confederate soldier. The teacher will assign each student one of these people at the beginning of the Civil War unit. We will provide a single-sheet secondary biography and primary source quotations. Students will fill out an “Important Person Card,” giving biographical details, analyzing the perspective of their person, and using evidence from the primary source quotations to support their answers. The historical focus question of the unit will be: “Was the Civil War a war for freedom?” This question hinges upon different definitions of the word “freedom.” To the average Northerner, this meant the union and free soil, rather than a moral quest to abolish slavery and bring equality. To a southern slaveholder, freedom meant the freedom to hold property and the freedom of the state to secede from the union. To the slaves, the war itself meant freedom, an end to their enslaved state. We want to get the 8th-graders to understand these differences, and how people’s views changed as historical circumstances changed. To analyze these differences, the students will look at what their person was doing at different points in the war, why their person was fighting or supporting the fighting, and how their views changed as the war progressed, in addition to other lessons on perspectives and developments during the war. Here’s a sample of our important person information-the story of a real Civil War hero, Robert Smalls. The primary source quote is too long, I know. But I thought you might enjoy reading the whole story. 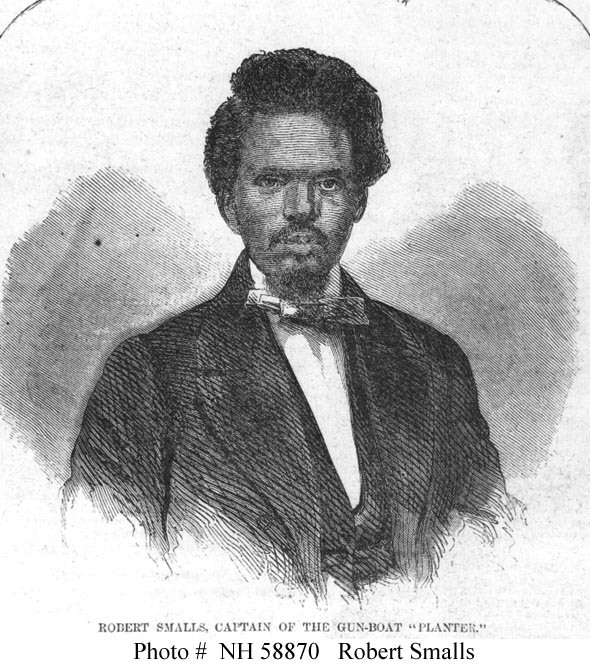 Robert Smalls (1839-1915) was born into slavery in Beaufort, South Carolina. He was educated by some means and trained as a deckhand and rigger on coastal transport steamships. By the time that South Carolina seceded from the Union, Smalls was a pilot on Planter, the transport steamer serving Brigadier General Roswell Ripley, commander of the Second Military District of South Carolina. 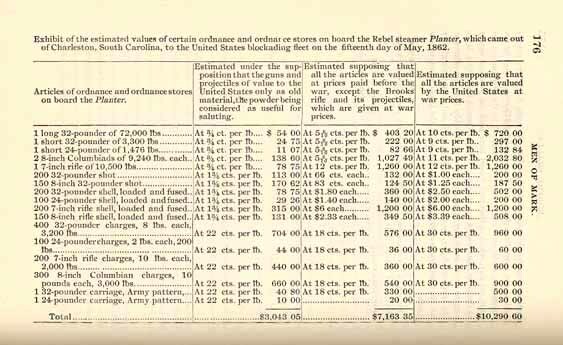 On May 13, 1862, while the white crew was ashore, Smalls, then 23, took over the ship, which was loaded with armaments for the rebel forts. He took on board his wife, his two children and other slaves, and sailed out towards the Union fleet, which was blockading the harbor. He gave the correct signals to pass by the Confederate forts and raised the white flag of surrender to the Union ship, Onward. For the rest of the war, Smalls was first the pilot and later the captain of Planter, and led the ship in attacks on the Confederate Fort Sumter and Charleston. After the war, he was elected to the South Carolina legislature, and served there and in the U.S. House of Representatives in the 1870s and 1880s. He died in 1915. 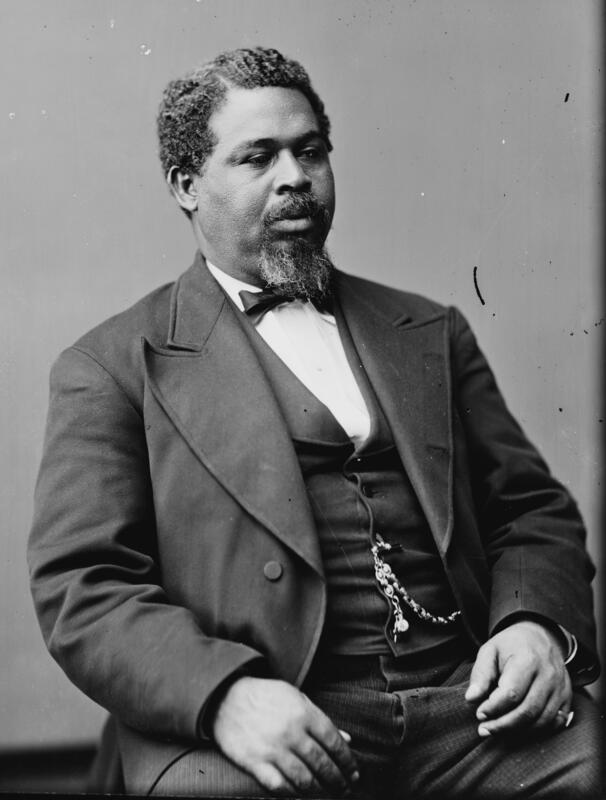 Miller, Edward A. Gullah Statesman: Robert Smalls from Slavery to Congress, 1839-1915. Columbia: University of South Carolina Press, 1995. On the day previous, May 12, the Planter, which had for two weeks been engaged in removing guns from Cole’s Island to James Island, returned to Charleston. That night all the officers went ashore and slept in the city, leaving on board a crew of eight men, all colored. Among them was Robert Smalls, who was virtually the pilot of the boat, although he was only called a wheelman, because at that time no colored man could have, in fact, been made a pilot. For some time previous he had been watching for an opportunity to carry into execution a plan he had conceived to take the Planter to the Federal fleet. This, he saw, was about as good a chance as he would ever have to do so, and therefore he determined not to lose it. . . . The design was hazardous in the extreme. The boat would have to pass beneath the guns of the forts in the harbor. Failure and detection would have been certain death. Fearful was the venture, but it was made. The daring resolution had been formed, and under command of Robert Smalls, wood was taken aboard, steam was put on, and with her valuable cargo of guns and ammunition, intended for Fort Ripley, a new fortification just constructed in the harbor, about two o’clock in the morning the Planter silently moved off from her dock, steamed up to North Atlantic wharf, where Smalls’ wife and two children, together with four other women and one other child, and also three men, were waiting to embark. All these were taken on board, and then, at 3:25 A. M., May 13, the Planter started on her perilous adventure, carrying nine men, five women and three children. Passing Fort Johnson the Planter’s steam-whistle blew the usual salute and she proceeded down the bay. Approaching Fort Sumter, Smalls stood in the pilot-house leaning out of the window with his arms folded across his breast, after the manner of Captain Relay, the commander of the boat, and his head covered with the huge straw hat which Captain Relay commonly wore on such occasions. The signal required to be given by all steamers passing out, was blown as coolly as if General Ripley was on board, going out on a tour of inspection. Sumter answered by signal, “all right,” and the Planter headed toward Morris Island, then occupied by Hatch’s light artillery, and passed beyond the range of Sumter’s guns before anybody suspected anything was wrong. When at last the Planter was obviously going toward the Federal fleet off the bar, Sumter signaled toward Morris Island to stop her. But it was too late. As the Planter approached the Federal fleet, a white flag was displayed, . . . [and] the ship Onward . . . opened her ports, and was about to fire into the Planter, when she noticed the flag of truce. As soon as the vessels came within hailing distance of each other, the Planter’s errand was explained. Captain Nichols then boarded her, and Smalls delivered the Planter to him. …Upon one occasion, in December, 1863, while the Planter, then under command of Captain Nickerson, was sailing through Folly Island Creek, the Confederate batteries at Secessionville opened a very hot fire upon her. Captain Nickerson became demoralized, and left the pilot-house and secured himself in the coal-bunker. Smalls was on the deck, and finding out that the captain had deserted his post, entered the pilot-house, took command of the boat, and carried her safely out of the reach of the guns. For this conduct he was promoted by order of General Gillmore, commanding the Department of the South, to the rank of captain, and was ordered to act as captain of the Planter, which was used as a supply-boat along the coast until the end of the war. In September, 1866, he carried his boat to Baltimore, where she was put out of commission and sold. Besides the daring enterprise of Captain Smalls, in bringing out the Planter, his gallant conduct in rescuing her a second time, for which he was made captain of her, and his invaluable services to the army and navy as a pilot in waters where he perfectly knew not only every bank and bar but also where every torpedo was situated, there are still other elements to be considered in estimating the value of Captain Smalls’ services to the country. The Planter, on the thirteenth of May, 1862, was a most useful and important vessel to the enemy. The loss of her was a severe blow to the enemy’s service in carrying supplies and troops to different points of the harbor and river fortifications. Source: Simmons, Rev. William J. Men of Mark: Eminent, Progressive and Rising. Cleveland, Ohio: Geo. M. Rewell, 1887, 166-69, 176. Simmons, Rev. William J. Men of Mark: Eminent, Progressive and Rising. Cleveland, Ohio: Geo. M. Rewell, 1887, 176.